August is Kids Comic Month so I thought it was a good time to give a plug to one of our family's favorite comic book publishers Papercutz. Papercutz specialized in producing graphic novels ( aka comic books ) for kids. 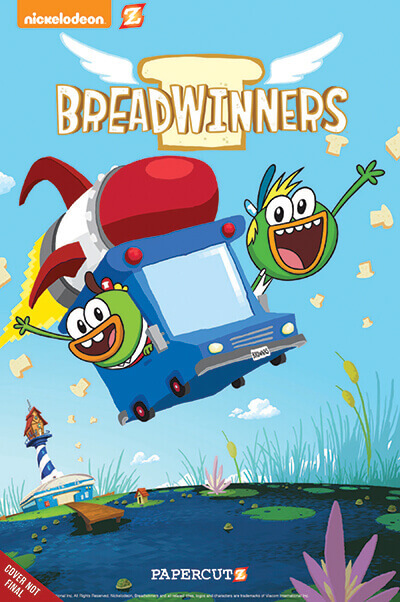 Whether you have a preschooler, tween or teen, Papercutz will have something of interest that will encourage girls and boys to enjoy reading and appreciate artwork. My 6 year old daughter loves Papercutz's Disney Fairies collection which portray the adventures of Tinker Bell and her fairy friends. Many of these comic books are illustrations of the Disney's Fairies lineup of movies and as a parent I appreciate that Papercutz provides a way for her to enjoy these stories through reading versus her just watching the dvds all the time. Reading these comic books has encouraged her to go looking for a book rather than just turn on the TV when she is looking for something to entertain herself. 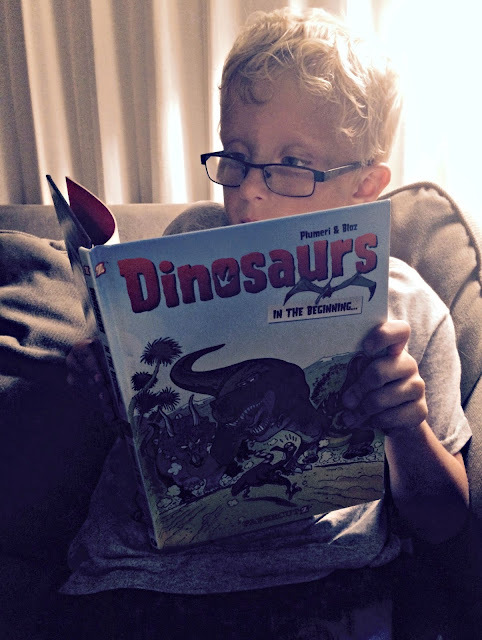 My son enjoys reading Papercutz's Dinosaurs series which are full of humorous stories that also provide a lot of educational insights into these prehistoric beasts. 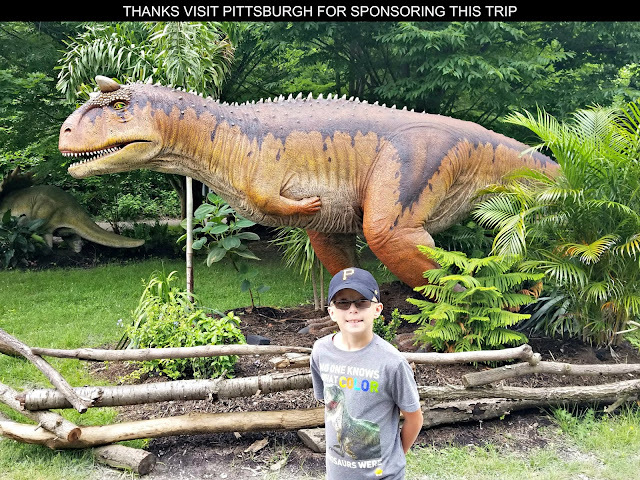 He's always providing family and friends Dinosaur related insights and trivia since he started reading these comic books. Both of my twins enjoy reading the adventures of Geronimo Stilton and Thea Stilton which feature brightly illustrated tales of perilous journeys, solving mysteries, investigating wrong doings, and time travel by some adventurous mice. Geronimo Stilton is the Editor-In-Chief of the Rodent’s Gazette, the most famouse newspaper on Mouse Island. Geronimo's comic book adventures often involve spoiling the hijinks of his archenemies the Pirate Cats. Geronimo isn't the only world-famouse adventurer from New Mouse City though - his sister Thea has her own comic book series. In this series, Thea teaches a journalism class at Mouseford Academy and narrates the stories of five of her students who call themselves the Thea Sisters whose desire to be real, live journalists tend to get them mixed up in a whole lot of adventures. Some people consider reading comic books a lazy effort at reading for kids. I've found though our family's experiences that the pictures in comic books have built my kids' confidence as beginner readers. The visual context from the illustrations provides them with clues and cues about the words and sentences they are reading through. Plus since the text in comic books tends to be one or two line sentences at a time broken up through panels and artwork it helps keep early readers from becoming over-whelmed as they spell out words and look for sight words. I've also found that when I read these comic books to my kids the pictures tend to help my kids follow along and pick up the spelling and meaning of words as they relate to the illustrations also boosting their literary skills. 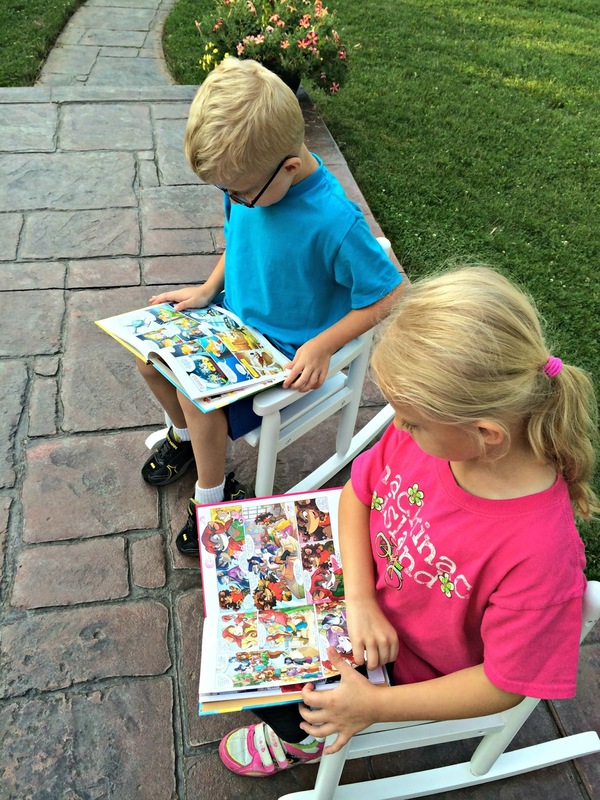 My personal feeling is that comic books are great for kids as long as they are reading age appropriate content. That's where Papercutz comes in! They have a great selection to choose from for various age groups. For younger children they have the title's I've already mentioned plus others like Smurfs, Rio, and Disney Graphic Novels. 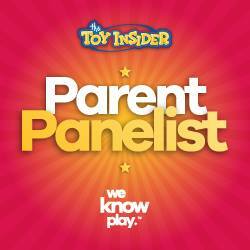 Tweens may like The Garfield Show, Sybil the Backpack Fairy, Toto Trouble, Lunch Witch, LEGO Ninjago, and Power Rangers. Teens aren't left out either with titles like Annoying Orange, The Hardy Boys, Nancy Drew, The Three Stooges, Tales from the Crypt, and WWE Slam City. 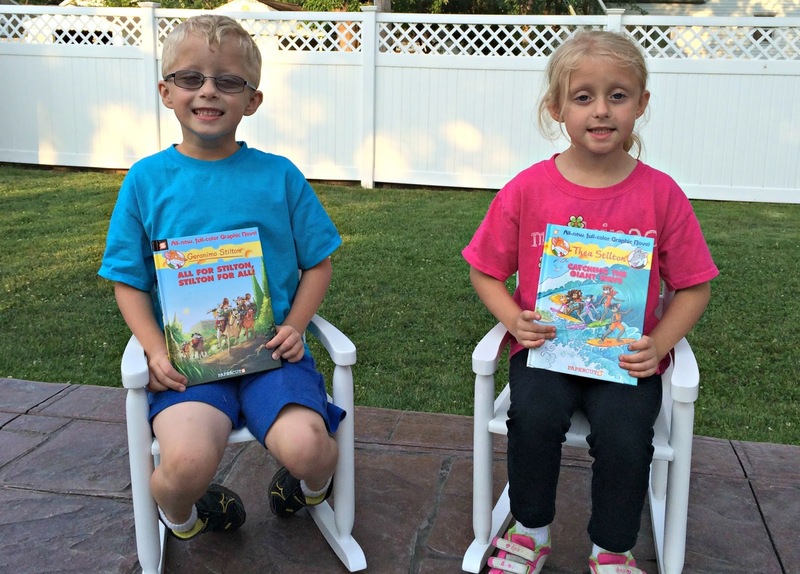 Do you know kids that are reluctant readers? Many of Papercutz titles are tied to television shows and movies which create a tie-in to encourage kids to dive into the books. Maybe a child is behind in their reading skills, these comics can be a non-intimidating way to help. Once a child starts reading, if they are enjoying themselves that can help them become avid readers and transition to more text based books as they improve on their literacy skills. Pulitzer Prize winning comic book artist and editor Art Spiegelman once said "Comic are a gateway drug to literacy." Plus there is nothing wrong with children growing up to appreciate and enjoy comic books as a leisurely activity as adults. I still enjoy reading comic books myself as a 40 year old as a way to unwind from daily grind of career and parenting responsibilities. Whether a child is in elementary school or high school, you should have them pick up some of Papercutz's Classics Illustrated which do a great job of portraying some of history's greatest works of literacy through graphic novels. 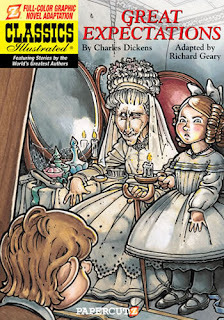 Once a kid understands that these stories aren't a bore they often times will be more inclined to pick up the real novel and potentially not throw a fit about reading one of the "classics" for a homework assignment. Even better they might even select a classic novel to read just for the enjoyment of it. Reading has to start somewhere and Papercutz comics are a great way to ignite a child's interest. Papercutz gets A Geek Daddy nod of approval for providing age appropriate comic book content that allow children and teens to enjoy quality stories that aren't filled with violence, sexual content and other topics that make parents wince. 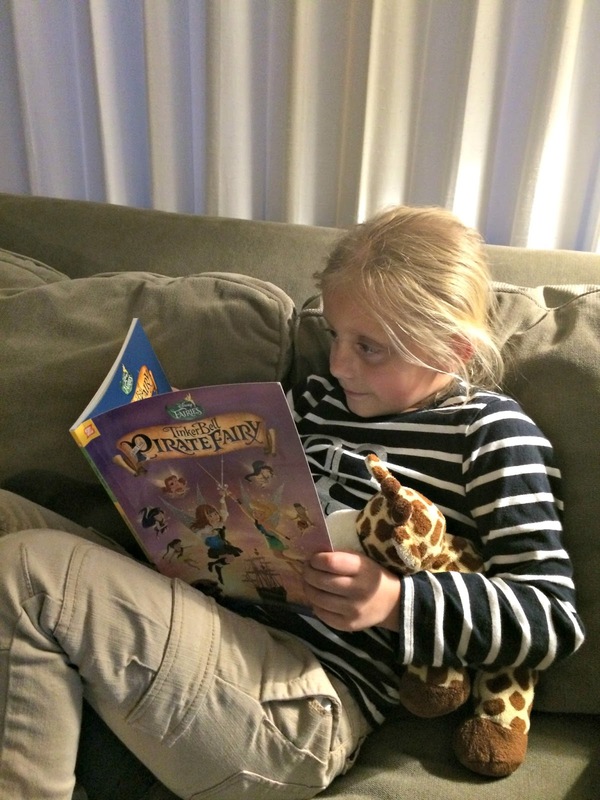 Papercutz has a niche that caters to kids and does an exceptional job of providing products that will make both their reading audience and parents happy.